The basis of every good job starts with a solid plan. 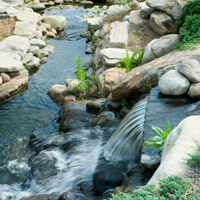 Archstone provides this solid start, specializing in landscape and light construction design. Because every project is different, we can customize the level of design to best meet your needs---from informal “spray out” designs onsite to detailed CAD plans to 3D modeling. We also offer unique design services such as property selection, house placement and orientation and elevation recommendations for your new structures. Your outdoor space can be an extension of the interior of your home or business. By adding water features, lighting and hardscaping we can create a beautiful environment that enhances your property’s value and your enjoyment. 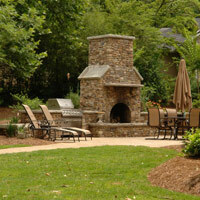 We also specialize in the construction of open-air pavilions, arbors, firepits, decks and outdoor kitchens. These features add character, function and beauty to the outdoors. With permanent structures in place, your outdoor project isn’t complete without landscaping to compliment your home or business. Trees, shrubs, and flowers add color and depth to your landscape. Our professionals can help you pick out what you are looking for and complement your living environment. For more information about Archstone, Inc., please give us a call at: 678-796-2008.
. Although the majority of our projects are found in western Georgia, we don’t believe geography should limit great design/build opportunities. We travel throughout the state and southeastern U.S. to provide our services. Web design by Web Works.